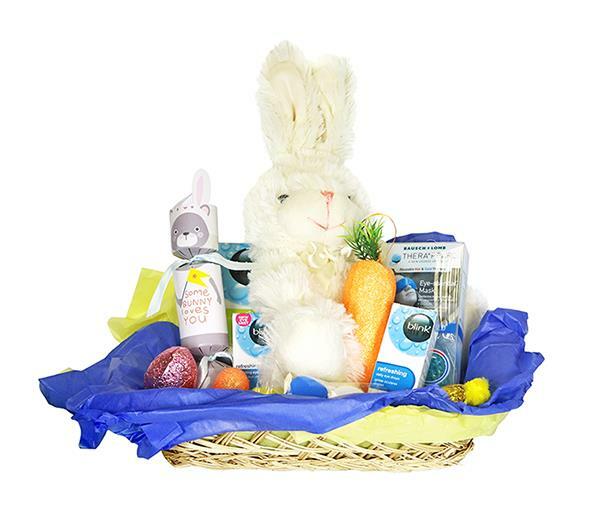 WIN a Feel Good Easter Hamper this Bank Holiday Weekend! We’re giving one lucky person the chance to win a fun selection of eye care products, chocolate and other little Ester-themed treats. The package includes; comfi Drops , comfi All-in-One Solution Travel Pack, The Eye Doctor Premium mask ,The Eye Doctor Lid Wipes , the Feel Good Handy Kit, a lens case and a few other Easter goodies. To win, simply head over to our social media accounts – Twitter, Instagram and Facebook - and follow the instructions on the competition post. Ends: 18th April 11.59 GMT. WIN a Feel Good refreshment package to make your mum’s eyes shine! The winners will be announced on Mother's Day – Full T’s and C’s apply. World Book Day will be marked on the 7th of March 2019. 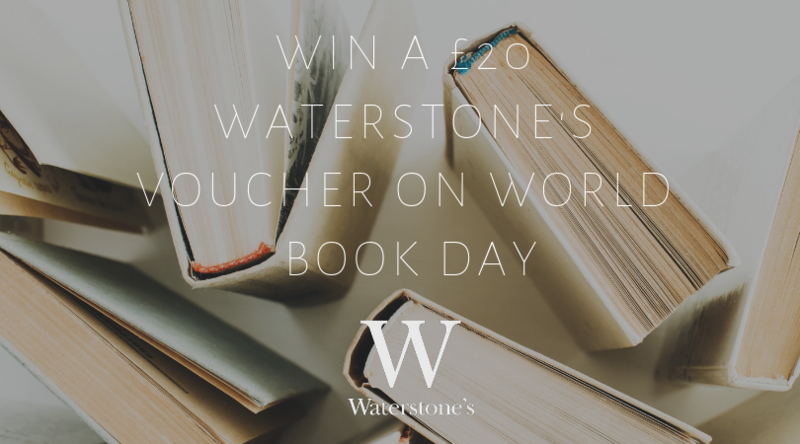 Follow us on Twitter to be in with the chance of winning a £20 (€23) spending voucher at Waterstones. The competition will run from the 6th- the 9th of March. Also, check out our Eye Care Hub for more information on how you can keep your eyes healthy and enjoy your favourite reads. We’re giving one lucky person the chance to win a £150 (€170) voucher from Red Letter Days. Treat yourself or a loved one to an incredible experience. You can enter on any one of our social media platforms, or on all of them for extra chances to win. Check out pinned tweets on Twitter and Facebook or look for the competition image on our Instagram feed to enter. It’s almost Christmas! We’re giving one of our lucky customers the chance to win some fabulous stocking fillers for Christmas. The prize includes: Comfi Colors 1 Day Rainbow Pack, Comfi Drops, Superdry Sunglasses, the Feel Good Handy Kit, Blink Eye Drops, A Thera Pearl Eye Mask and Blink Wipes. To enter, simply follow the instructions of the pinned messages on either our Facebook or Twitter page. As a member of the Kardashian sorority, Kendall Jenner has become one of the world’s most recognisable faces and successful runway models. To celebrate her 23rd birthday on November 3rd, we’re giving away a pair of designer sunglasses from the Kendall and Kylie sunglasses collection. Check out our Twitter, Facebook and Instagram pages for your chance to win. We’ll be hosting giveaways on each platform. Halloween is creeping ever closer! 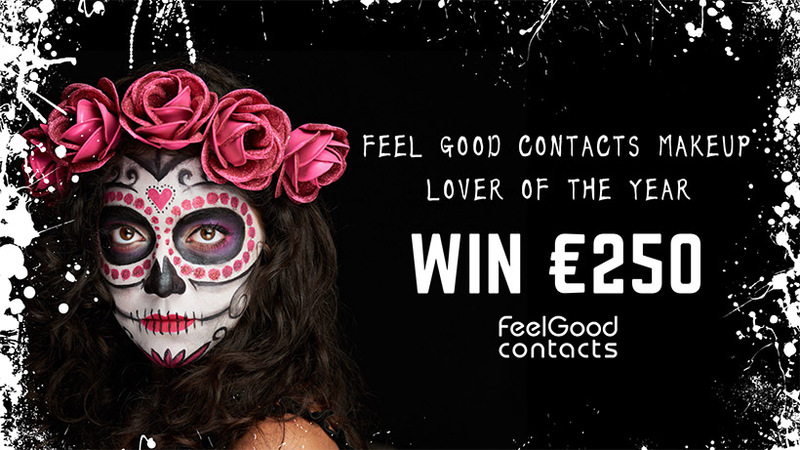 To celebrate, we are launching the 'Feel Good Contacts Make Lover Of The Year Prize'. We are challenging professional artists and makeup enthusiasts alike, to create Halloween looks on social media to be in with the chance of winning €250. Click here to find full details of how to enter on the official competition page. What a perfect time to treat yourself to some rest and relaxation. We're giving 4 lucky winners the chance to win a DIY pamper hamper featuring some of the incredible eye masks available on our website. You can enter this contest via our Twitter page, Instagram page, or either one of our UK or IE Facebook pages. Enter on all of our platforms for a better chance of winning. Read more about #NationalSpaWeek here. #AfternoonTeaWeek runs from the 14th –20th of August 2018 . To celebrate, we’re giving away 3 of these delicious Cornish Hampers. Check out our UK and Irish Facebook pages, as well as our Twitter page to be in with the chance of winning. Spend Afternoon Tea Week enjoying fresh scones covered in strawberry jam or butter scotch, and a cup of Cornish tea with a loved one. Kylie Jenner is one of social media’s most popular stars, and to celebrate her 21st birthday on August 10th, we’re giving away a pair of designer sunglasses from the Kendall and Kylie sunglasses collection. Check out our Twitter, Facebook and Instagram pages for your chance to win. We’ll be hosting giveaways on each platform. Due to the upcoming changes to European data law (GDPR), we’re asking our customers to refresh consent for us to continue to send you money-saving offers, promotions, tips & reminders by email. If you currently receive emails from us, you won’t be hearing from us at all after May 25th 2018, unless you refresh consent. By opting in, or refreshing consent to receive our emails by May 25th, you’ll be automatically added to our fantastic prize draw to win €200 of Feel Good Reward Points. If you have any questions at all, feel free to call us on 01 514 3614 or email us at cs@feelgoodcontacts.ie. Our opening times are Mon-Fri 8am-9pm, Sat-Sun 9am-6pm, while we’ll be announcing the winner of our draw on May 26th 2018. Easter is finally here, and at FeelGoodContacts.ie we’re celebrating the beginning of spring by offering one of our lucky customers the chance to win our luxurious Easter hamper! This Bank Holiday Weekend we’ve paired up with a special bunny to put together a fabulous Easter-themed hamper that contains extremely delicious chocolate eggs, fun presents and more importantly our best-selling eye care products. For a chance to win, simply place an order this weekend between Friday 30th March – Monday 2nd April, over the value of €15 and you will be automatically entered into the draw. Don’t miss out! The Easter giveaway ends on Monday 2nd April 2018 at 23:59pm. Our lucky prize winner will be announced on Tuesday 3rd April!